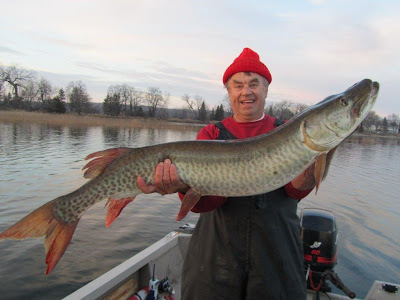 Letters from Classmates: Muskie champion! 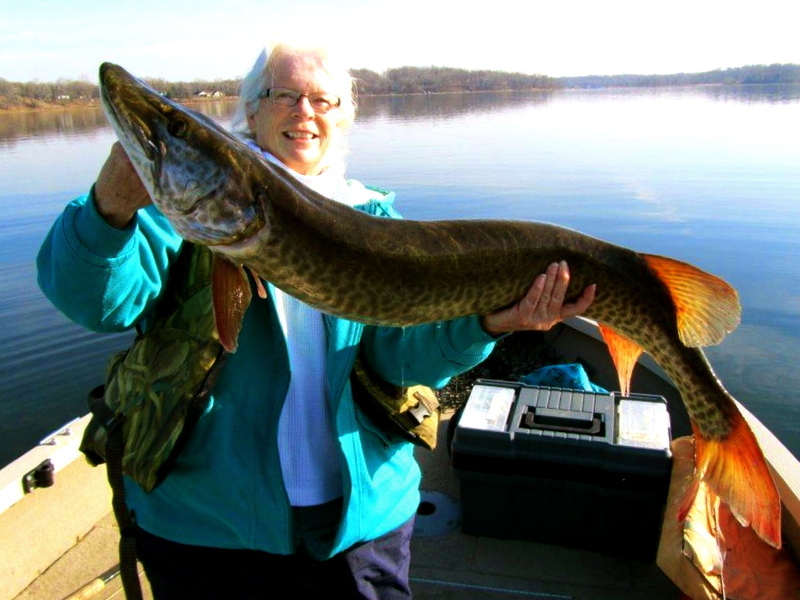 Ruth (Helie) Anderson and her husband, Bud, enjoy muskie fishing. Ruth won the International womens division of muskie fishermen in 2005, which caused her to be placed in the masters division of the international contest. (an exclusive division for guides, tackle mfgrs. etc.) She won the international womens masters division in 2009. That's as good as it gets!! Their best fishing is in November, often breaking a considerable amount of ice in order to get to the good spots. The fish in the picture was caught today, 11/19/2012.